Leonardo DiCaprio’s charitable foundation donates $100 MILLION to help fight climate change | Watts Up With That? But the reality is that the climate change we have been experiencing is caused by the sun and the oceans over which mankind has no control. So all the money in the world could not provide mankind with the power to stop the climate from changing. So this effort to fight climate change is just a waste of money. But even is we could somehow stop the climate from changing, extreme weather events and sea level rise is part of the current climate and would continue. Stopping the climate from changing will be of no benefit to mankind. Mankind has not been able to change one extreme weather event let alone change the climate. Mankind does not even know what the ideal climate really is. So even if we could change the Earth’s climate to a specified ideal climate, we do not even know what that ideal climate really is. Reality: CO2 emissions are far too weak to affect the climate. DeCaprio just threw away 1×10^6 dollars on a mission unworkable. Far from it. It is a well known theorem that every $ spent now will probably save $10 down the line. Also, people like DiCaprio can choose to spend their hard earned bucks anyway they like. You might spend it on bourbon or bowling or buying teddy bears, for example, and no-one is telling you it is a waste of money. He might want to gamble the money – is that also a waste of money? Are you the judge now of what he should or should not spend his money on? Renewable energy projects are the greatest destroyers of the environment known to man (or woman or it). People with no knowledge of the consequences of what they fund should be removed to where they can do no harm. Well said. The environmental destruction from “renewables” is monstrous yet these self-serving “saviors of the earth” could care less if their solutions destroy the planet or not. They are grandstanding, pure and simple, and if it means killing many species of animals and destroying the landscapes with these useless tax breaks for the greedy, so be it. After all, it’s about “feeling important”, not really saving the planet. If only we could find a way to redirect “feeling important” and tax breaks for the greedy (Buffet will take any tax break, I’m sure), maybe we could actually save the planet from this destruction. Who appointed you school marm? Knock it off Matt. Common mistake and we all the know the meaning. Yes, but look at all the money he and Hollywood saved in taxes by contributing to this fund. The IRS needs to clamp down on these useless foundations and eliminate the tax deductions. Lets see how much they donate if it’s not tax deductible. Yes. It is not immediately obvious what he has done with this $100m of other people’s money. I guess it is the raising of money which is considered the main thing. But how much climate has he changed in the 20 years since he started the project? Most the “fighting climate change” that I see is wealthy and comfortably-off activists campaigning to raise energy prices and impoverish other people generally across the globe. $100m is just enough to cover the alcohol, food, accommodation and travel bills after some of these climate conferences. Uhhh . . . cynic? Foundations are great as cost-shifting vehicles: Expenses [private jets anyone?] which should be paid privately are shifted to the tax-exempt, donation funded, foundation. Patrick may be cynical but so he should be. This $100 million from Leonardo DiCaprio is just going to waste, as CAGW is a fictional scare based on fake science and adjusted data. The money could have done inestimable good if it was spent on disease control in Africa or something similar. Instead the money will be lining the pocket of rich scamsters and crooks. What a tragedy! So True Nicholas. Here is a better idea. Hollywood producers should make more movies and documentaries about the tragic consequences of deficit spending. Then Dicraprio can start campaigning for a) a Balanced budget law requiring the federal government to spend no more than they take in from tax revenue each year and b) Hold annual fundraisers for his “Pay down the National Debt Foundation” so that all his virtue signalling, overpaid actor friends can raise Hundreds of Millions to actually do something constructive. I get the feeling that no matter how much money is thrown down the “global climate change” rathole, it is never enough. It is an “almost infinite” sewer of a far-left political control agenda. The problem with the climate prediction claims is there is no way to test the theories. The crazy left looks at human produced carbon as the control knob of climate. First of all, humans do not produce carbon – it is an “element” required for all life. All other variables such as solar and galactic influences are rejected as irrelevant. We all like a clean environment but that is only achieved by the richest and most advanced societies. Advanced technology makes life more livable but it does not provide the control knob of climate. Climate and cleanliness are not synonyms. C is an element… well stated. Somehow these ‘alchemist wizards’ have found a way to turn bull$hit into tax free slush funds. They’ve turned C into C-notes. The total, ~ >$100M, apparently has not all been allocated to climate change. The part that has, has been wasted. The “opportunity costs” are unknown. Likely some good has been done with the rest. I wonder if there is a sensible audit? I’ll happily bet my hard earned money that there is no audit, or even accounting, of what the results of their various efforts have achieved. It’s just a self promotion gimmick, and it wasn’t his money. He just set up the charity, it was, as usual, somebody else’s money. Someone elses money, yes but it was not MY money. I assume the people and companies freely parted with it, an important distinction. I admit to some internal conflict. Money chasing stupid is grating, but at least it wasn’t my money. I hope. Does anyone know if any taxpayer dollars went down this particular rat-hole? There’s always a chance that with that much money moving around, some good was done, however accidental. Tax exemptions would be it, although, just because you don’t like the ’cause’ does not mean they should be treated differently. The fact that such “charities”, of all stripes, force individuals to subsidize groups and causes they find distasteful is the strongest argument of all that the deduction for charities needs to be ended, for all of them. The foundation is a tax-dodge and, thus, the money lathered about produces no tax revenue. Nonetheless, the US gummint continues to deliver “services” nationwide that require funds that will be made up from other sources – – yeah, collections from taxpayers and corporations who actually engage in profit-making enterprises. I’d be glad to see Congress abolish all tax-exempt entities (including churches) or, at the least, collect a minimum 15% of total gross revenue. And require annual audits of finances. For Foundations, I believe, they must spend at least 5% on the cause. Usually, family members sit on the board with healthy salaries. Numerous trips are paid by the foundation. This is the same Di Crapio that flew across the Atlantic in a private plane to accept a Global warming award. And then flew back the next day. What a colossal wanker. … and probably paid for with the (his) Foundation money. Free vacations, as long as there is a remote nexus to the Foundation. Fighting climate change, I will have $1000 at even money that climate change wins. No takers here at those odds Ve2! Proving once again there’s a . . .
Wonder how many young people he could have put through college with that? Oh yes, with 100M we would have so many brainwashed minds more to twist our reality. Live like Leo: private jets, big yachts, multiple houses. Let others do the cutting back. Isn´t that about the same thing? Leo, I planted a spruce tree and a few acorns. Please send me $10,000 for fighting climate change. Follow the money not the climate. This is nothing more than a tax shelter that Leo and friends will use to derive benefits and expenses from while doing a nominal amount for “charity” just to keep up appearances. Then there is Malaysia . . . According to the Justice Department, certain donations to the Oscar winner’s charity came directly from a multibillion-dollar embezzlement drama in Southeast Asia. He uses his Prius to get to his private jet. He flew to Alberta in his private jet to protest the oil industry. 100 million in 20 years is impressive. Unfortunately, it is a drop in the bucket. That is only 1/10 of what Obama paid into the Green Fund, and only 1/1000 of the Green Fund’s *annual* goal by 2020! For the wealthy crowd he runs with, all this amounts to is cheap virtue signaling. Post Christmas comas are almost as debilitating as post Thanksgivings ones. I have become more susceptible to the dreaded food coma with my advancing age… but the Christmas prime rib was worth it! And, no, I do not feel one twinge of guilt for not having a vegan Christmas to “save” the planet from its livestock burden. Not that impressive. That’s only 5 million a year. The gofundme for the border wall has raised over $17M in just 9 days, and that’s over the Christmas holiday when a large number of Americans are not on their computers. So spare us the fake adulation. $100 million in 20 years is just under $14,000 per day. Donations for Trumps wall are just under $2,000,000 per day. Looks like building the wall is more important than fighting fake climate change. But what would the Gliterathsy do without there big events. They all live it up while poor families in places such as Africa still have to use Cow Dung to cook over. But of course its the thought that counts to such people, not the reality of actually living in the real world. It would be different if his ‘earnings’ were from a worthwhile occupation like advancing medical science, but his tour de force is imitating the characters from fictions. Even then , he did not ‘earn’ his money, he simply sucked on the teat of an existing money flow system that grabs dollars from impressionable people and innocent children who buy movie tickets or whatever. People get rich quickly by taking money from large numbers of poorer people. Is that some kind of achievement? Seems more like theft to me. Then, to pump money into an imaginary threat like global warming when no scientist has shown it a valid concept, is just plain stupid. There are many causes needing funds however acquired, other than global warming scares. What a waste. How many homes could have been built, wells could have been dug, people could have been fed with all that wealth? It is interesting to see what good articles appear here and in addition only the enemies of mankind participate in the comment. It is very likely that the bacteria will survive the disaster, but it is also not certain that there will be life on Venus after the climate change. You know, it makes one to know one? Isn´t it great to know that even you are allowed to comment here? ya mug, i doubt theres life on venus now so wtf are you blathering on about? Well, unless we can increase the CO2 content to ~95% *AND* increase it’s mass to ~90 times that of Earth *AND* move it a bit closer to the Sun this rock we live on will never be a Venus, until the Sun starts to consume the inner planets. Got a while before that starts to happen though. Not to mention slow down our planet’s rotation so one new Earth day equals 243 old ones. Anyone who doesn’t worship at the same alter as you do is an enemy of mankind. Next come the death camps for unbelievers. You forgot your meds today. Another product of bottom expectations for education coupled with trollops reading hate websites based on even lower education standards. Some facts for that empty void you carry. 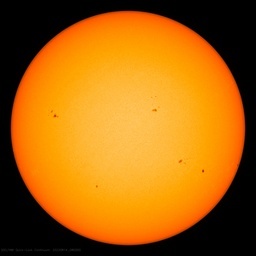 * Average distance of 67,108,088 miles (108 million kilometers) from the sun. * Venus’s atmosphere is 96% carbon dioxide, 3.5% nitrogen, 0.015% sulphur dioxide, 0.01% water vapour and 0.007% argon. * Venus’s lowest two levels of atmosphere reach 100 km altitude. * Venus’s solar incoming radiation is 2,601.3 W/m². * Venus’s diurnal rotation period is 117 Earth days. * The average atmospheric surface pressure on Venus is about 90 times the average atmospheric surface pressure on Earth (almost as much pressure as you would experience at a depth of a kilometre in the Earth’s oceans). Earth’s 93,205,678 miles minus Venus’s 67,108,088 miles is 26,097,590 miles where Venus is 38.6% closer to the sun. Newton’s Inverse Square Law governs radiation strength where Solar Irradiance = I/D². That is, Venus receives substantially stronger sunlight for very long periods of times. * Earth’s total atmosphere is approximately 120 kilometers (74 miles). That is, Earth’s total atmosphere is roughly the altitude of Venus’s lowest two levels of atmosphere. Much stronger Solar irradiance, Venus’s very slow rotation cycle coupled with the sheer weight of Venus’s atmosphere is why Venus’s average temperature is over 427*deg;C! Hot enough to melt lead! Let us know when your pathetic echo chamber pals discover life where lead is molten. Venus?! LMFAO Earth didn’t turn into “Venus” with seven THOUSAND ppm CO2, 400 ppm (or 500ppm, or 600ppm) isn’t going to turn it into Venus, either. LDC must be so proud of his distribution of wealth £100 million in what 20 years. Just for balance consider the latest COP 24 gathering in Poland. 22,000 delegates and 9,000 support staff and journalists there for two weeks, junketing. If we allow each of them just $5000 to cover their flights and accommodation and subsistence over that two weeks, we get something north of $150 million. So LDC manages to input cash over twenty years, and the climate alarmists spent the lot and more in less than two weeks. Maybe someone should tall him, he is wasting his time and money. Interesting that we are supposed to be in awe of these parasites whose manifest abilities are confined to lifting heavy weights and putting them down again, singing a bit and talking a lot. Yet there are people out there slogging through muck clearing drains and people delivering babies; People working for years to find cures for our most insidious deseases; people nursing ebola victims. A lot of very dedicated people. So we are supposed to cheer because a few thespians hand around their excess wealth among themselves to signal how virtuous they are and then spend it on vanity projects of questionable value. Not questionable; of NO VALUE WHATSOEVER. Do I detect a hint of jealousy here? These are highly successful people who are able to contribute large amounts of their own personal wealth to a cause they strongly believe in. What they choose to do with their hard-earned money is their choice … US sceptics can contribute their’s to the Cato Institute but who gives a damn – and they would just be lining the pockets of the Koch brothers even more. I would be far more impressed if Leo did NOT publicize it and used it quietly, behind the scenes, to provide polio vaccinations and mosquito nets and hand pumps for water to people who need these things. This public atta-boy stuff is childish. Climate Change is the lowest priority for the world, according to the UN’s surveys. This money has been lost to the world’s top priorities. The opportunity costs of environmentalism can be measured in the deaths of the world’s poor. He is free to spend his money as he pleases. At least he is not asking government to spend my money on a project that will just be another shovel ready job for academics. It’s not technically HIS money, it’s other people’s money that he got them to commit. Along the way he can charge lots of expenses for public appearances to the fund. So really another acting gig for Leo. DiCaprio thinks he can buy his way out of hypocrisy. Hang on – his ‘charity” has donated over 100 million dollars of OTHER PEOPLE’S MONEY. it didn’t donate Leo’s money. He just got others to give and then claimed virtue by giving THEIR money away. No wonder he supports big government solutions – it’s what he does. The headline reads like di Caprio hisself donated 100 million – I knew that had to be BS because he spends money on himself and on his CO2 fuelled luxury travel. Notice these “caring, concerned people” NEVER USE THEIR OWN MONEY for any of this. It’s ALWAYS someone else’s money. Somehow, I call “liar” on anyone who has a charitable foundation as caring for anything other than themselves, unless they donate huge amounts to their own charities and take no tax breaks for the donations. Donating other people’s cash is NOT caring. It’s self-serving, egotistical grandstanding and should be called out as such. DeCaprio cares about DeCaprio, NOTHING else. Probably what he spent on fuel for this. I figure that as long as I maintain a carbon footprint smaller than that of Leo Di Caprio, I am a superior human being. Plants of the world disagree. Leonardo should spend some of that $100 on an effort to find out if there is any evidence that CAGW is real. If he finds any, please let us know here at WUWT. Meanwhile, funding climate change projects before finding out if they are really needed is putting the cart before the horse. Tom – CAGW is NOT real – climate change is largely natural and irregularly cyclical. Despite rapidly increasing fossil fuel combustion, global COOLING occurred from about 1945 to 1977. That is sufficient evidence to disprove the CAGW hypothesis. And the world probably going to COOL again, soon, as I (we) predicted in 2002. There! We saved Leo all that money. Maybe he can buy another private jet. Environmentalists are so phony. They claim only they care about the planet but don’t have a clue how it works. Earth is a dynamic world. It changes. Constantly. The continents move. The weather patterns adjust. It goes into and out of tens-of-millions-of years-long ice ages. And it’s ecosphere is also dynamic. Species live, die, go extinct, new ones taking their place. Without that dynamism, there are no changes to adapt to, therefore no evolution. No life. But environmentalists hate… absolutely HATE… change. In their ignorance, they think the planet should never change. No species should ever die out, yet should never expand their ranges, while climate and habitats can never change, etc. An undynamic world. A stagnant world. A dead world. 1998: exactly the year when the pause began! An accident? I DON”T THINK SO!!! :-D/spoof — as if that were necessary. Rename the charity the White Star Line since it has about as much competency and merit and all the catering to the affluent and their effluent. It’s his money, and he can do with it as he pleases. It’s just a shame that he did want to use it to help people. Sorry, now where’s that cup of coffee? His “generosity” reminds me of another fact. The tremendous sums that Greens and green-leaning governments have basically wasted on renewables and CO2 -chasing Carbon taxes would have been much better spent convening “a meeting of the minds” about LENR. The Electric Sun people are finally coming to grips with the fact that the Sun’s photo-sphere is not a nuclear furnace, but rather a controlled plasma (ions stripped of their electrons). YEP- A paradigm shift . They are too blind to see what lies right before their eyes. Hollywood success is based primarily upon looks, connections and willingness to do anything, no matter how disgusting, to get ahead. Consider Harvey Weinstein’s playthings and all the other human flesh users we have come to learn about in tinseltown. And all of the willing “victims” as well. If there is a more morally bankrupt place on earth I’m not sure where it might be. Perhaps Washington DC? Las Vegas? I don’t think that is where the Congress resides. Not since Clinton left office. Well ain’t that nice of Leonardo di Cabrio? Then again I guess that playing a dude drowning in the ocean left him all scared. 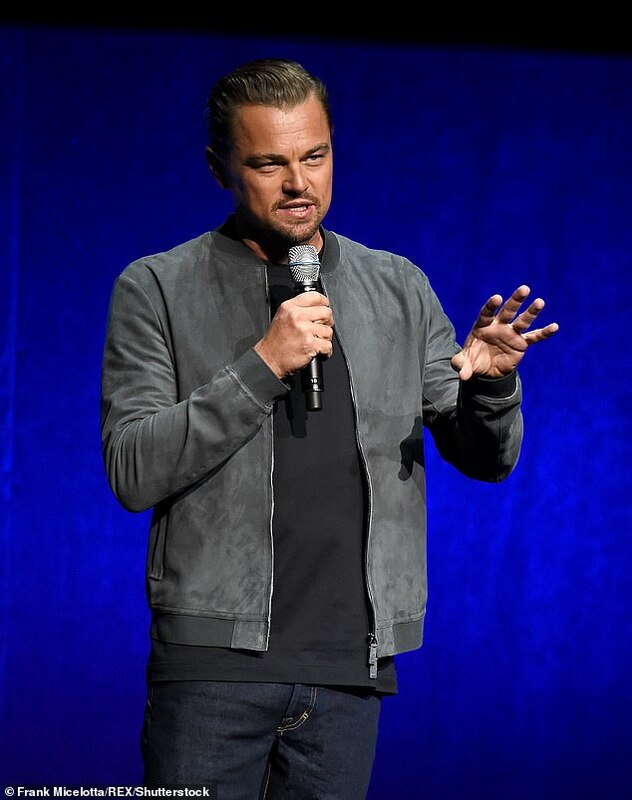 ‘Leonardo DiCaprio‘s eponymous foundation has now raised $100 million towards helping the fight against climate change. Fight climate change means innovative projects? Ecosystems are not balanced. Biology 101. There is a significant disconnect there. One wonders if Leonardo wrote that himself, or if the reporter tried to make the connection between what Leonardo said was happening, and what the money was spent on. One or both confused by the looks. Why doesn’t Nancy Pelosi simply ban climate change in the first legislation? Did the money come out of his own pocket? Or, (think Clinton Foundation) did patsies donate their hard-earned money to go into the pocket of this already-rich talent-free hood-ornament? I dare say when he gets cancer he will wish he had put his efforts into researching that. I love Leonardo DiCaprio’s and I am a fan of him. Leonardo DiCaprio’s foundation has a good cause. appreciated. I trust you have given him your money to waste. I have daydreamed of the possibility of saving the world from people who are trying (the wrong way) to save the world, if I won some lottery. I wonder if it were possible and if so how much money it would take. Kinda curious how much of the fund raised went into Decaprio’s pockets. And ALL of the publicity went to Decaprio’s pocketbooks as well! Just think what a hundred million could have done for a worthwhile charity that actually did something to solve a real problem. But I guess it’s more important to stroke that warm fuzzy. So, in 20 years, Di Caprio has raised $100 million from his mates & flunkies. That amounts to the grand sum of just $5 million each year, which is pocket money to any self-respecting Hollywood star. They are selfish, un-charitable hypocrites. When you attempt to follow the money you don’t get very far. So DiCaprio’s Foundation is one of 1600 funds managed by the CCF. The CCF was set up to benefit Los Angeles, but DiCaprio’s foundation seems to fund projecst everywhere but L.A.
No actually it’s the Eco-Nazis that want to bankrupt all developed western countries, and all for nothing. “Bad weather “ has nothing to do with humanity’s minuscule contribution to CO2 emissions. Wow – reading the comments you can feel the envy of people like di Caprio, who, like the other ‘famous people’ mentioned here, is no fool but very astute. They, unlike most US sceptics who are not known for their astuteness, can see that private action like this is needed to help combat AGW. That fool Trump should contribute, but he is well-known for his thrift when it comes to charitable donations. Except his own charity, of course, where he and his dreadful progengy were caught with their greedy fingers in the honeypot and which has since been forced to close. IVAN PLEASE point me to the statistically significant empirical dataset (s) which PROVE Man = Global temperature change and by an even greater stretch of the imagination that man is responsible for the 4.5 billion year old habit of climate change. I ask because they do not exist! This is an unsubstantiated assertion and the shocking travesties of science which pass as climate science which claim to support it point to no more than a wish to get money. This is a trillion dollar a year gravy train. If I was part of this shocker I to would write any twaddle speculating about links between anything under the sun and climate change because there is money a plenty to be had. Here is an idea. Celebrate the fact that you live during an INTERGLACIAL, the clue is in the name. It is a brief respite in the middle of a glaciation. CO2 is plant food. Next time you pass a greenhouse growing cucumbers etc ask your self what that big cylinder with Carbon Dioxide written on it is doing there. Knowledge comes from many places but certainly not from the MSM. You guys continue to amaze me with the same old trite argunents that realky no-one listens to any more – except perhaps the Don who is a dinosaur with a very low IQ. Although he’s probably made sure it’s not his money. Pay the costs to ameliorate the costs of AGW now, or expect your children and their children to be paying a heck of a lot more down the line. Leonardo DiCaprio’s charitable foundation donates $100 MILLION to help fight capitalism. Interesting Climate Change. It should be about science yet it is fronted by actors and failed politicians. Strange that………..He is just a virtue signaler on another scale from the usual virtue signalers. I wonder how deep into his own pocket he dipped? 1) NASA itself says* that “climate” is usually defined as the average weather for a particular region and time period, usually taken over 30-years or more. 2) Science has clearly documented that across the Earth, past climates have varied greatly on the time scales of decades, centuries, millennia, millions of years, and billions of years. Just look up “Ice Ages”, “interglacial periods”, “Younger-Dryas event”, “Medieval Warm Period” and “Little Ice Age” for the supporting scientific facts. 3) Many past events of changing climate have had both absolute changes and rates-of-change in global atmospheric CO2 content and global atmospheric temperatures much greater than what has occurred over the last 200 years since humans became largely industrialized and began emissions of CO2 from burning fossil fuels. Clearly, mankind was not responsible for any climate change that occurred earlier than around 200 years ago . . . so why do you think for a second that we can “fight” climate change, the natural forces in play on Earth? 4) If we humans are so presumptuous as to think we can fight, let alone stop climate change, don’t we first have to decide what is the ideal “climate” that we want to prevent from having any change? I’m waiting for someone, ANYONE, to precisely define what that ideal climate is . . . nobody else has done it yet. So, what 30-year (or longer) period in Earth’s history is the condition that mankind’s leaders should pick as the climate that we select to keep from changing. The last 30 years (remember atmospheric CO2 levels over this period are about 30% higher than they were from 200-500 years ago)? How about the period of 230-200 years ago? Why not the period of 10,030-10,000 years ago? 5) And who decides that any given selected 30-year period of climate from our historical record will be agreeable to all human populations scattered over the Earth? Will Eskimos like their climate to be “fixed” at what someone else decides is “ideal”. How about those people in and around the Sahara desert? Remember, the complex interactions of solar radiation, atmospheric circulations, ocean circulations/thermal inertia, geological and ocean organic and inorganic chemistry, and biomass life cycles on Earth all mean that one regional climate is sure to impact another over long time scales. So, please talk to me about “fighting climate change” when you can properly address each of the above issues. Ivan, thank you for your reply. I have consider the linked article against the paleoclimatology evidence that many C3-type plants originated and evolved in the Triassic, Jurassic and Cretaceous periods (the span of 65 to 250 million years ago) during which atmospheric CO2 levels stayed continuously within the range of 1000-2500 ppm. In fact, many greenhouse growers today add CO2 inside their greenhouses to drive CO2 levels up to 800-1200 ppm to improve crop yields, taking advantage of the optimum growth “ambient” CO2 levels that are coded in their plants’ genetics. My conclusion: Earth did quite well over hundreds of millions of years with atmospheric CO2 levels 2 to 6 times higher than today, in comparison to what is asserted to be detrimental by your reference* to a CO2 “spike”. 1) The link is to a website titled “A Record of Mankind’s Degradation of Planet Earth” . . . all kinds of warning signs there, but I persisted. 2) The article is not found at your given link, but instead another link is provided to where the article is located . . . not good practice if you’re really trying to help someone. 3) The article itself starts of with this sentence “It’s unclear exactly what happened 252 million years ago as the planet warmed, but 90 percent of species went extinct.” So with this introduction, I am expected to find credible some claims that it was a CO2 spike that ended the Permian era??? Nothing was presented in the eventually-linked article that comes close to a paleoclimatology science group—ahem–consensus that this was a cause-and-effect relationship. Out of the three suppositions – meteor strike, volcanic eruptions and increased C02/methane levels i.e. climate change, the latter is, however, the most likely. I see that you are not addressing the simple question that I asked of you. 1. It’s not “his” money. He’s just taking the credit for spending donor money because the foundation bears his name. He probably was talked into starting it, does nothing but be the occasional spokesperson, and knows nothing about the finances except what he’s told. Yes, he’s the responsible person though. 2. All charitable organizations are required to have open books. You can look up how much his foundation has taken in, salaries of those who run it, salaries of those who secure donations, operating expenses, and where and on what the money is spent. 3. If you decide to look at just about any celebrity/politician foundation you will probably find your cynical take on them is justified. If people were told up front how much of their donation actually reaches the intended target they probably wouldn’t donate. It’s appalling and most border on being scams. It’s a business where “profits” become the actual money used for what they advertise and most “businesses” couldn’t exist with those low margins. So speaks the Oracle on charitable foundations who has probably never given a dime to a charity in his life … and probably never will. 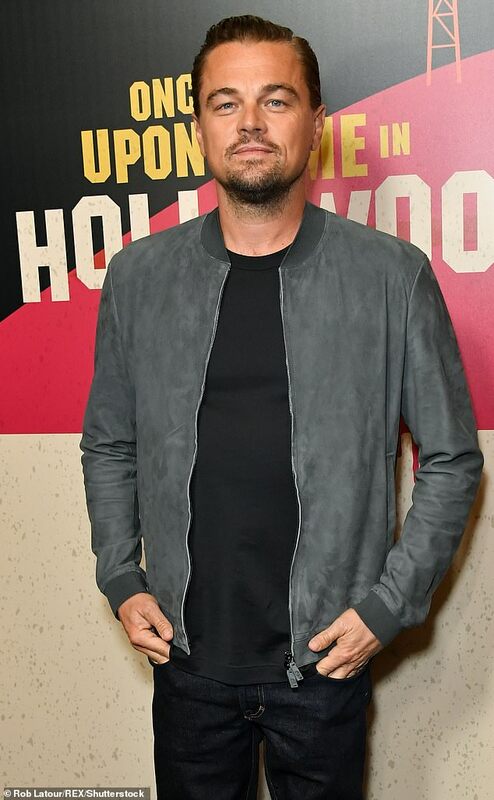 DiCaprio doing great work in raising donations to combat AGW. Celebrate it my friend. Where do I sign up for my sliver of the 100M, Leanardo? (not to be confused with the other one).